BTS, also known as Bangtan Boys, is locked and loaded for 2017. The seven-member boy band has announced three additional tour dates across the United States for its "2017 BTS Live Trilogy Episode III The Wings Tour." Due to the unprecedented demand, BTS have added three shows in Anaheim, Newark, and Chicago, respectively. The additional dates will kick off on March 23, 2017, at Prudential Center in Newark, New Jersey. It will then be followed on March 29, 2017, at the Allstate Arena before the tour makes its way to the Honda Center in Anaheim, California on April 2, 2017. "[The] BTS members are very excited to go on the world tour and to meet their fans worldwide," a representative from BigHit Entertainment said in a statement obtained by Billboard. "Sold out or not, the boys will prepare the best shows ever for U.S. fans, who have been very supportive and passionate since [their] debut." The move comes after around 95,000 tickets for BTS' America tour was sold out within minutes of being released. The boy band sold out faster than any other K-pop groups, the press release from BigHit Entertainment quoted Chilean promoters as saying. The upcoming "2017 BTS Live Trilogy Episode III The Wings Tour" will be the group's largest North American shows to date. 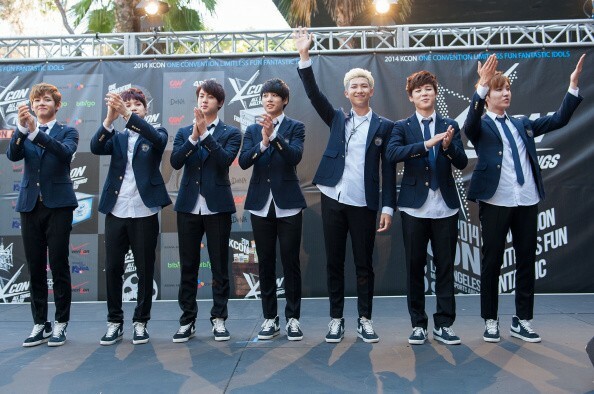 It also marks their first time to host solo stadium shows in the U.S.
BTS, who debuted in June 2013, revealed in a recent interview that they do not consider themselves to be idols or artists. For them, they are just simple individuals that tackle problems with good music. "Good music is always recognized," BTS told fashion magazine Singles, as cited by The Kpop Herald. "We are very grateful that we can continue to do what we love and it has always very fun."